22 jars with lids per pack. Suitable for jams, honey, pickles, chutneys, dips, relishes, spreads, salsa, olives, humous. 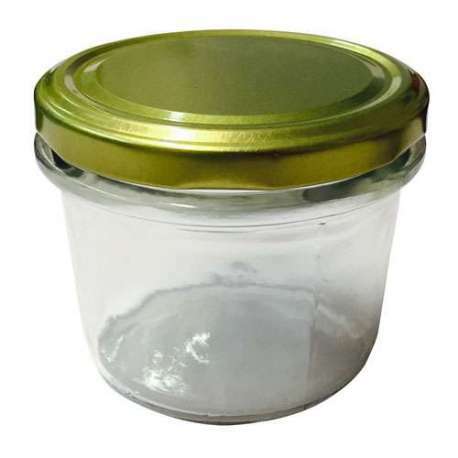 82mm lids to fit this jar are available to buy separately. Colours available: - gold, black, red gingham, fruit and silver.